Consistent performance, reliability and overall value have helped make Fisher Pre-Rinse Units an industry standard. Designed with the commercial kitchen operator in mind the Fisher Pre-Rinse Unit is second to none. Fisher Pre-Rinse Units have acquired an outstanding reputation over the years as the foremost in quality without equal. 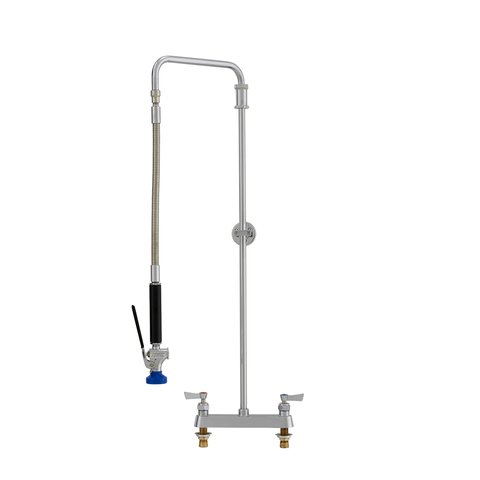 Fisher Pre-Rinse Units feature the Ultra� Spray PLUS Valve and Fisher's 3-ply aircraft hydraulic hose which is ideal for commercial cleaning applications.